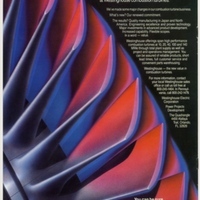 In April of 1987, the Combustion Turbine Systems Division of Westinghouse Electric Corporation was relocated from its prior headquarters in Concordville, Pennsylvania to the World Headquarters of Westinghouse Power Generation located at The Quadrangle, on Alafaya Trail, across from the University of Central in Orlando, Florida. This advertisement was prepared shortly after the move. Original advertisement, 1987: Private Collection of Harry Jaeger. Digital reproduction of original advertisement, 1987. 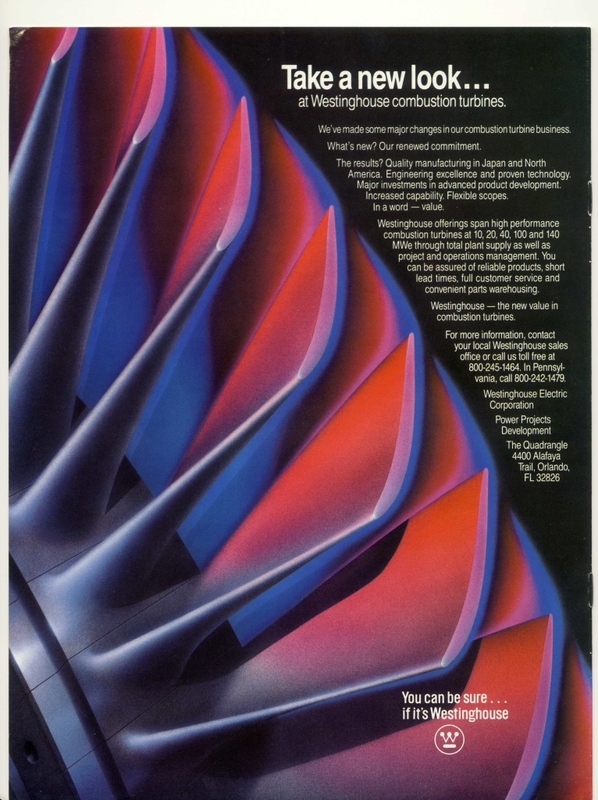 “Take a New Look...at Westinghouse Combustion Turbines.” RICHES of Central Florida accessed April 21, 2019, https://richesmi.cah.ucf.edu/omeka/items/show/6600.